Here are some outdoor wedding venues that you might like to try in the north Georgia mountains area. One of my favorites is the Lodge at Amicalola Falls, which is one of our most beautiful State Parks in Georgia. Here is the view behind a couple that I married there. It is always best to choose a place that has a back-up area in case of inclement weather. The Lodge has a covered porch area where the chairs can be set up, or if it is a small wedding, there is a beautiful fireplace in the lobby area right inside. It is always good to have a backup place in case of inclement weather for any weddings done outdoors. 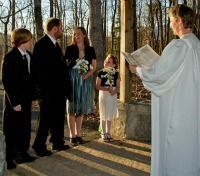 This picture is of a small wedding I did at the gazebo just up from the Lodge at Amicalola Falls. The gazebo has recently been refurbished by the Friends of Amicalola Falls, a volunteer group. Since this was in February, the use of the gazebo was free, but in warmer weather, there is a small fee to reserve it for a wedding. It is a lovely venue for an intimate outdoor wedding with just a few attendees. 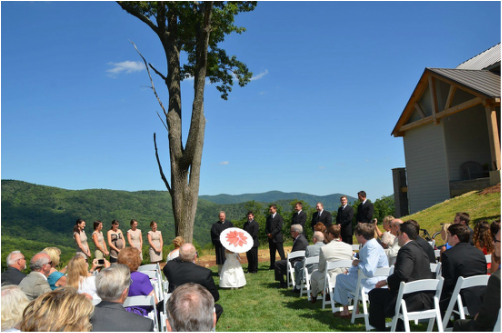 The wedding planners at Amicalola Falls have all of the resources to do a wedding or rehearsal dinner at the Lodge and have a full time staff as well. You can see more pictures of places to have your wedding at this page. Another option, especially if you have family that would like to stay together, is to rent a house in close proximity to where I live called Bear Ridge. The wedding could be held there or at any of the surrounding venues listed here. The house is a five bedroom, 3 1/2 bath home that can sleep 20. 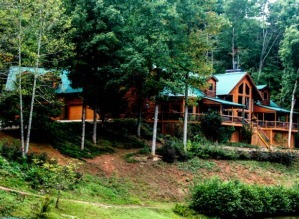 It has a view of the Lodge at Amicalola Falls as well as the Falls themselves. For details on the house rental, go to vrbo.com/438003 online. This location is by a lake close to Unicoi State Park near Helen, GA. It has an open pavilion that would be an alternative in case of rain, and a dock where a wedding with a small group could take place. The one drawback is that the bride would have to get dressed in the public restroom facility located there. It has two stalls in it so it is a bit cozy. Otherwise, she could arrive already dressed and ready for the occasion. 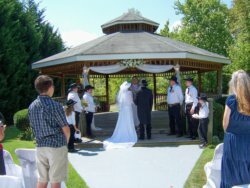 Here is an outdoor wedding that was held at the Big Gazebo at Forrest Hills Mountain Resort, Dahlonega, GA. It was a fun Country Western theme. This venue has seating for 250 people and offers the services of a Wedding Coordinator if desired. Receptions can be booked there as well, with two different locations, and a chapel is available in case of rain. Another option is this beautiful restored house just off the square in Dahlonega. 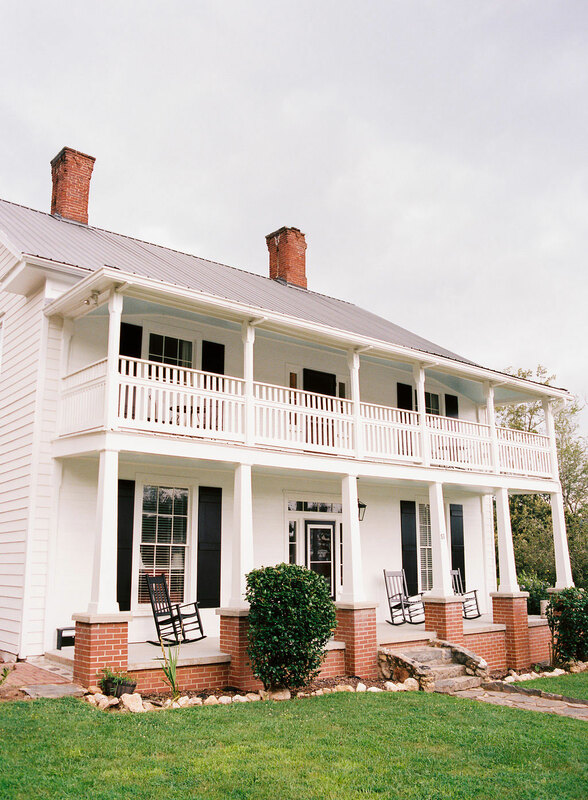 Whether you’ve come to wed, wine, jam or dine, Tumlin House is a nineteenth century retreat into the north Georgia mountains. Built in 1885 and refinished 132 years later for weekend escapes, this beautifully restored farmhouse offers a historic getaway in the heart of downtown Dahlonega. Get more information at http://tumlingroup.com/house/. The Juliette Chapel & Events facility is a unique and lovely DIY facility that is ideal for budget conscious brides that want a beautiful wedding in a natural setting. The venue is perfect for smaller, intimate weddings of up to 70 seated guests. There is a small wedding chapel and a separate reception building. The Chapel has walls of glass with a wooded view and doors that slide out onto an adjoining patio that connects the chapel to the reception facility. The reception space flows indoors to outdoors and has a kitchen and bride’s room. There is also a grassy area with an arbor for those who wish to wed in the great outdoors. 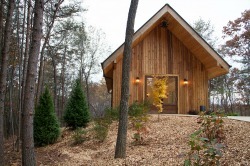 If you are looking for an intimate location that celebrates nature, the Juliette Chapel & Events may be the perfect fit. 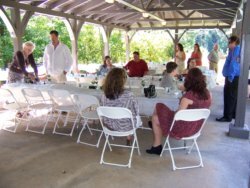 Another possibility for an outdoor wedding is Fainting Goat Vineyard and Winery off of 136 just outside of Jasper, GA. They are relatively new and have a fantastic view of the mountains over the tops of their vines. They have facilities for both indoor and outdoor weddings, just in case of inclement weather. and all of them are beautiful. They have lots of fun events going on at various times, so you can go to one of those and get a feel for what the place is like. Go to http://www.faintinggoatvineyardsandwinery.com to check them out and see what they have to offer! The locale for outdoor wedding venues is only limited by your imagination! Of course, the weather might be a factor in it too so that must be taken into consideration. Go from "Outdoor Wedding Venue" to "Home Page"